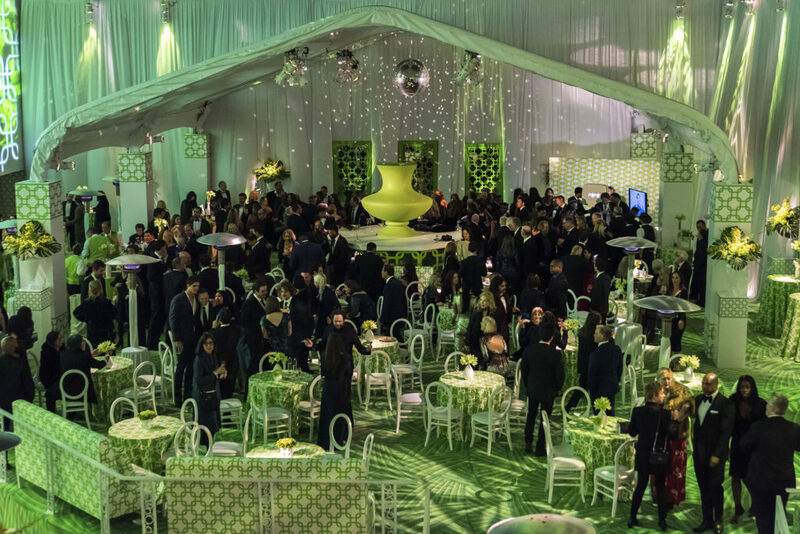 “If you want drama and the ‘wow,’ it’s lighting every time.” We have to say, we love the philosophy of event producer Rose Forbes. 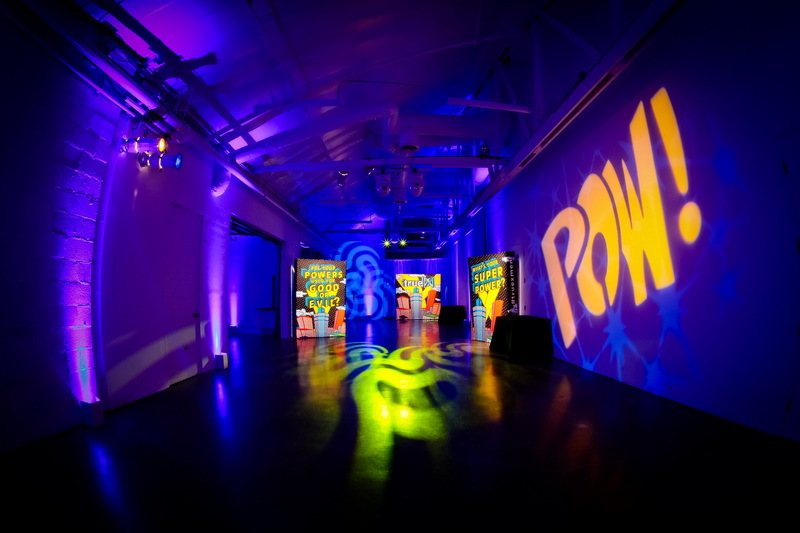 Forbes, owner of Two Tree Events gets the wow, and the pow, when she works with our lighting designer Nicholas Blasi. 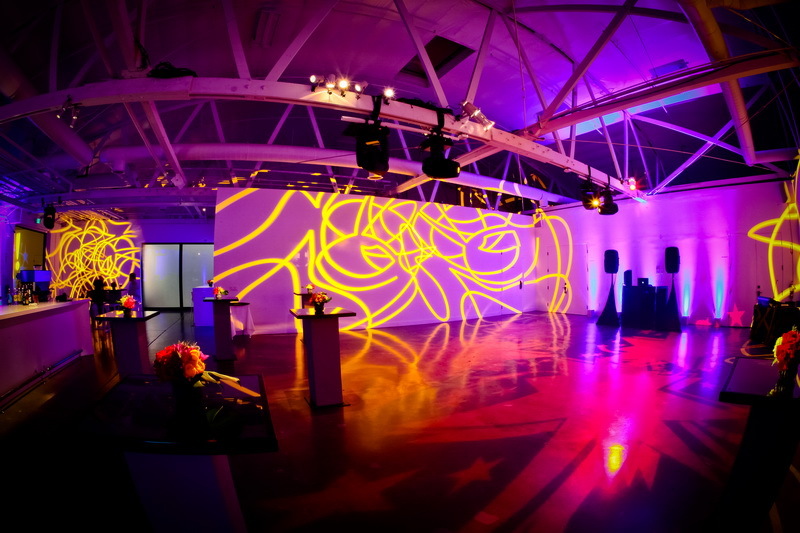 As a collaborator with her on this corporate event, he turned up his own super power — designing with lighting. 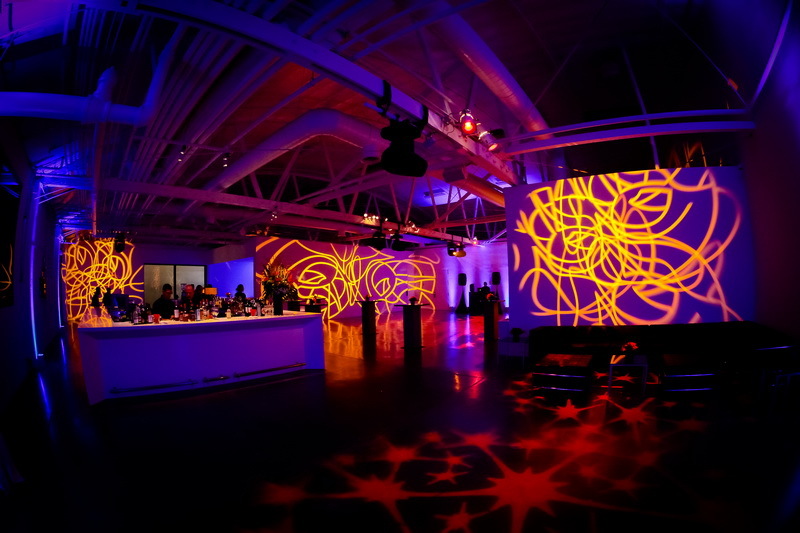 The effect was super fun and Xciting! We love it when he gets specific like that! 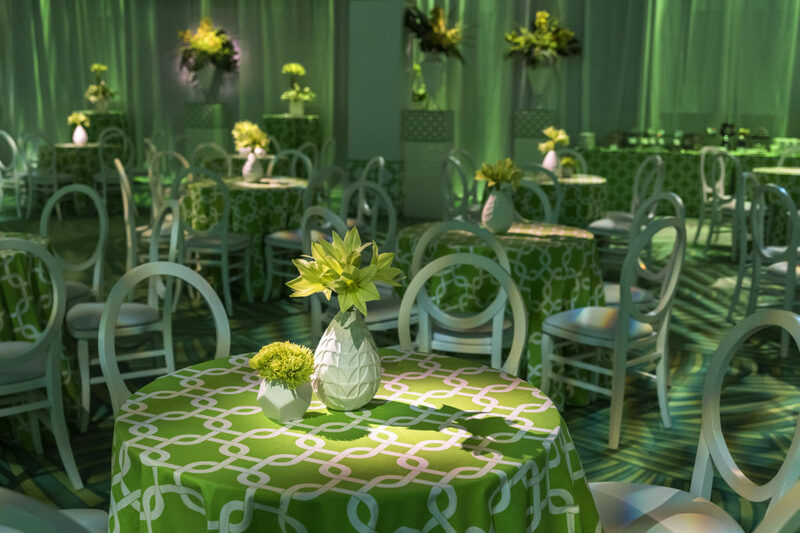 It challenges us to find just the right gobo projection patterns to complement the arced lines of the custom carpet and the graphic design on the linens. which we were only too happy to fulfill. 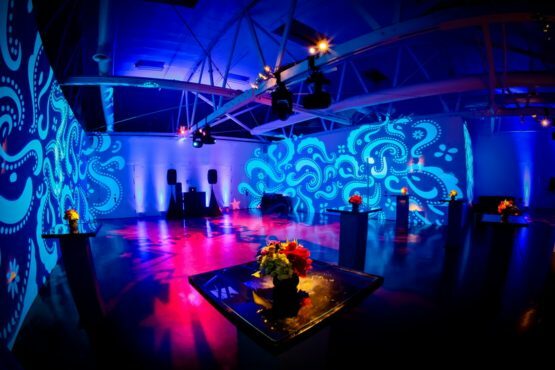 focus to perimeter walls, tabletops and entertainment areas. 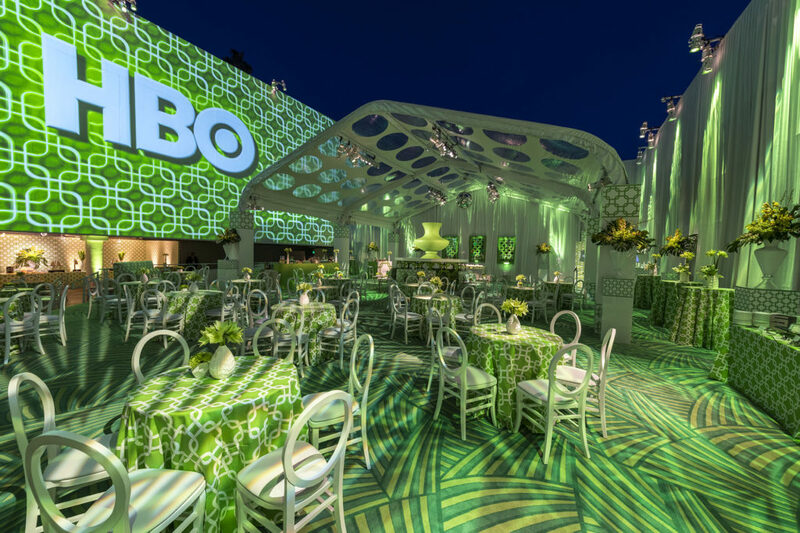 To completely immerse the guests in the design, for the first time Billy asked Bart Kresa to extend the 3D video on the main exterior wall of the space farther. 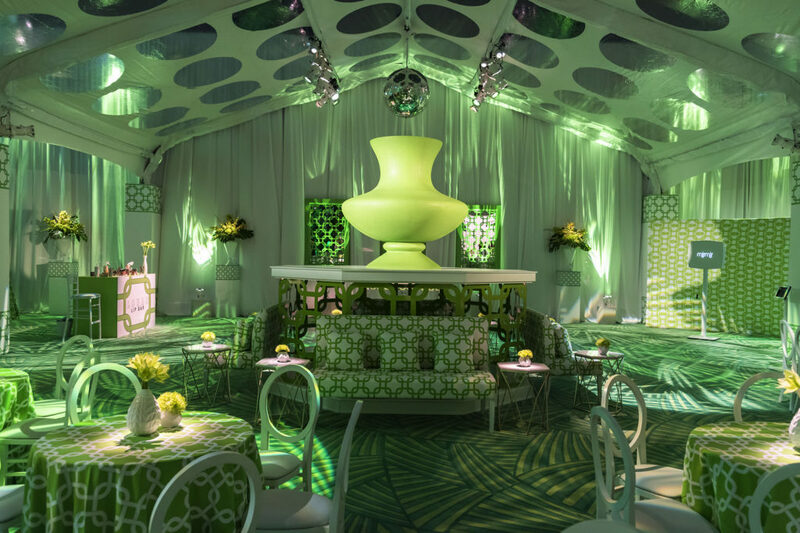 To paraphrase that most famous of green celebrities, Kermit the Frog, it may not be easy to be green, but it is easy – and fun – to turn an entire event space into a design that would make Kermit even greener with envy.